Join the Southwest Indiana Chamber for Lunch with the Lt. 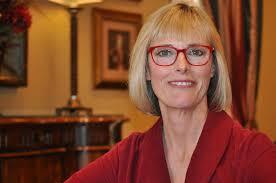 Governor, Suzanne Crouch, on Friday, March 16th presented by Vectren. Suzanne built her extensive career in state and local government as a state representative for Vanderburgh and Warrick Counties, a Vanderburgh County commissioner, and as Vanderburgh County auditor. This event provides the regional business community with exclusive access to the Lt. Governor, who will address topics particularly relevant to our members.